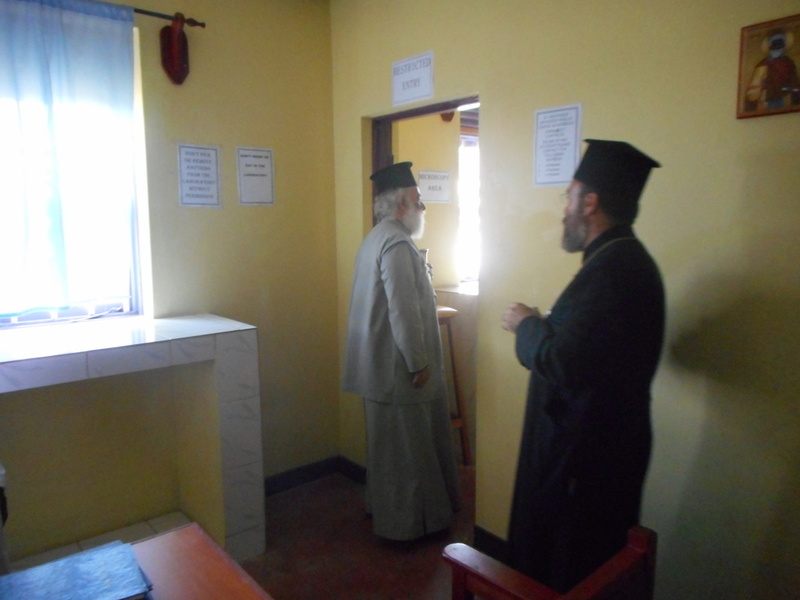 Visiting w/ the bishop of Kenya. 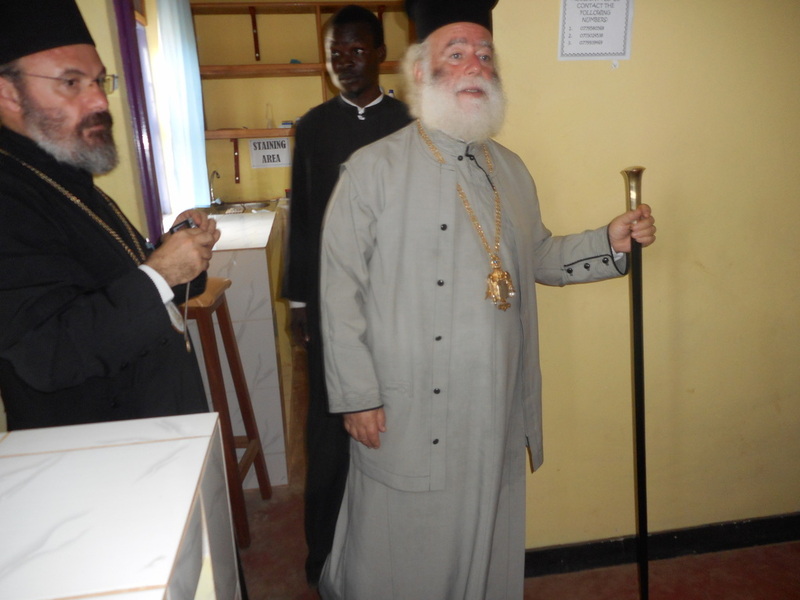 On November 3rd His Most Divine Beatitude, Theodore II, the Pope and Patriarch of Alexandria and All Africa, under whom is the Orthodox Church of Uganda, visited the Medical Center as part of his trip to Uganda. He commented favorably on the size and work of the Center, its cleanliness and its dedicated staff. 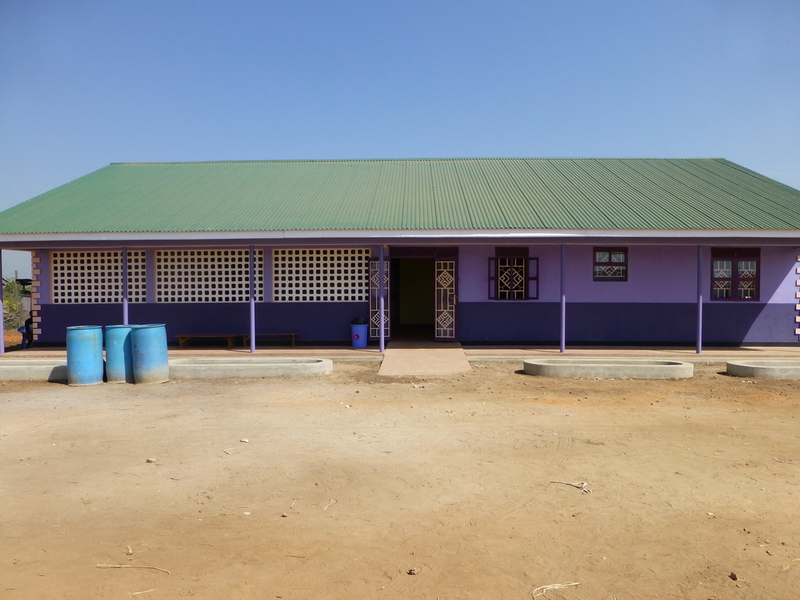 He was surprised to find such a well equipped and well staffed Medical Center in so remote a place as Akonyi-Bedo village. It was a great honor for the Clinic and a joy to the staff to experience this hierarchical visit. Fr. Joseph cuts the ribbon to open the center. Met. Jonah enters to bless the Medical Center. Praise God! We are finally open. 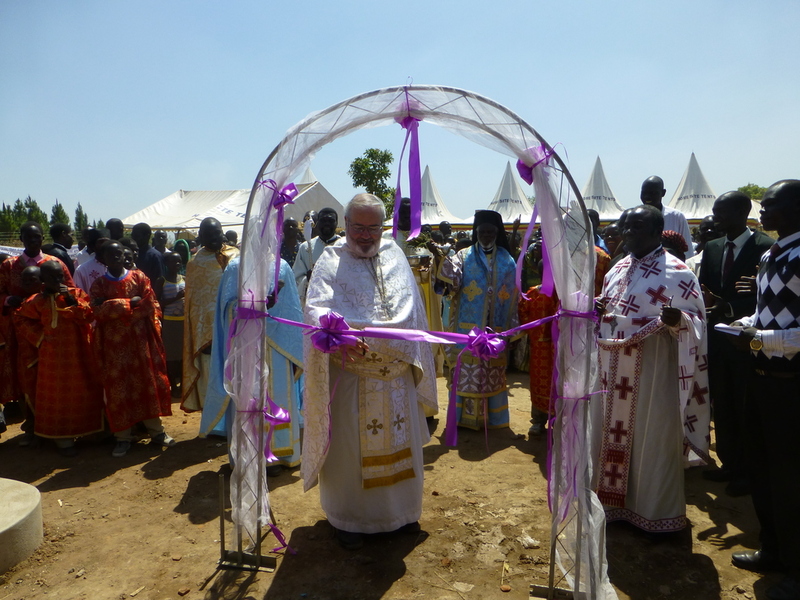 On January 12, 2014, the medical center at Akonyibedo Village in northern Uganda was dedicated by His Eminence, Archbishop Jonah, Metropolitan of all Uganda. Under a blue African sky, a hierarchical Divine Liturgy was celebrated by His Eminence and Fr. Joseph was honored to celebrate as the first priest of the Liturgy. Hundreds of residence of this war torn part of Uganda traveled many miles to join in the celebration. Fr. Joseph cut the ribbon to symbolically open the clinic and the Metropolitan then proceeded to bless every room of the center. Speeches by local government officials then followed, after which, there was a meal and dance performances. On January 15, the first patients were seen and treated. It was a joy to see for all of those who worked so hard to make this center a reality. We are now in the process of being certified as a Level 2 Medical Center. This will, among other things, qualify us for some free medicines from the government as well as vaccines. It will also allow us to better and more completely serve the needs of the people. We are permitted to operate fully during the certification process and therefore it is to our advantage to receive the level 2 rating. The need for a well is seen in one of the accompanying photos where it shows water being delivered to the Center and stored in outside vats. Also we pray that it will not be long before we have erected staff quarters so that we can have emergency services available 24 hours per day. 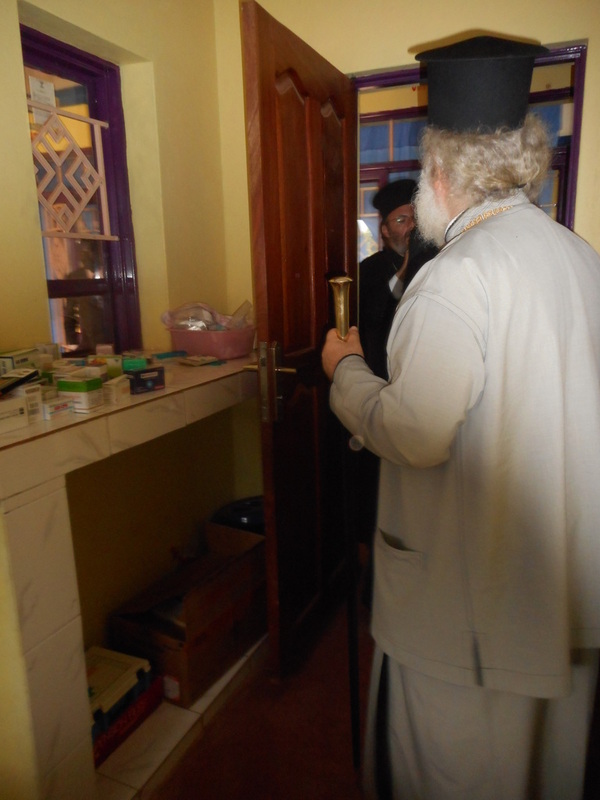 Receiving Communion at Divine Liturgy. Met. Jonah gives the final blessing. We are 40 miles from the South Sudan border. Water for the Medical Center.